BetSheet.com was founded by industry leading sports handicapper, Gerald "Puss" Williamson. Puss was an original sports consultant and has services at the public level since the early 1980's. Mr.Williams is well respected and considered an expert authority on gaming resources and spent most of the 90's working for half a dozen start ups in sportsbook consultation and security analsysis before breaking offto the private sector to form BetSheet. The popularity of Puss Williamson working in the private handicapping sector spawned Betsheet.com. As a private member of Betsheet.com, you will find yourself among a community of very serious and successful investors with access to information that is not available to the public. Our sports betting picks are documented and proven to give you the slight edge you need to beat the vegas odds. Puss Williamson was ahead of the times and was known for using innovative techniques and stat tracking systems that were not common in the 80's. Our goal is to offer superior information from a wide array of sports betting picks which allow our members to increase their profits by limiting their exposure to risk. 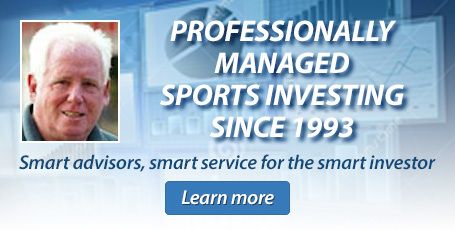 Sports investing involves a methodical and detailed approach towards long term gains and our team of sports experts are here to help you achieve your goals. When you become a member atBetSheet.com, you'll join an exclusive clube and gain instant access to world renowned sports investment advice backed by decades of research and documented results. BetSheet.com is comprised of a team of season sports handicapping experts, all hand picked by Puss. Our backbone, the research and analytics team that provides mountains of data each day to help our experts stay one step ahead of the odds. Finally, our veteran staff of customer support gurus that run our day to day operations with knowledge and efficiency.